What if we help you get the best spinning reel you need? Yep, this is what we’ve done in this article. Whether you’re new to angling or not, there is no getting around the fact that you need the best spinning reel available. Location, skills, and knowledge of lures are important yes, but without a good reel, you’re going home with an empty bag. 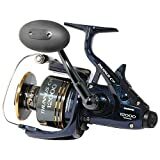 The thing about these spinning reels is that while they’re everywhere, in stores and online, quality varies, with some designed for the pros and others best ignored. Here I’m going to explain the stuff you need to know about these reels, what to look for, things to consider and what types of reels are available. I will also compare reels from the most popular brands so you’ll have an easier time deciding what to buy. And since reels sometimes depend on the type of fish you target, keep this in mind too. One of the biggest mistakes new anglers make is assuming that all reels are the same, but they’re not, so before anything else, some basic information about this stuff might help. We all know what a spinning reel is. Yet again, if you are new to fishing, let me make it clear to you within seconds. A spinning reel has a cylindrical shape and is connected to a fishing rod. You use it for storing and winding lines, with most of them equipped with fittings to ensure accurate casting, and they also have a receiving line. Today these reels are widely used in sportscasting and angling around the world. The reels are connected to a rod, but there are specially designed reels which can be hooked up to a transom. 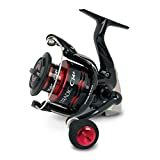 Fishing reels aren’t new, but to make sure you don’t buy the so-called best spinning reel, go through our reviews for the finest spinning reels for your money. If you grab any of these mentioned here, your money gets well-spent. Machined stainless steel drive and pinion gears and center shaft. The aluminum spool is well-designed, and the 4.4:1 ratio allows for easy retrieval. The reel also looks good, and it handles like a more expensive model. With the OF45 you get a drag of 30 lbs. Max, while the 55 is good for 45 lbs. And reels 65 and higher have a maximum drag of 60 lbs. The reel is a bit on the heavy side, but that’s actually good because it’s ideal for heavy-duty use. The Fin-Noir can be used with an 11-foot rod, and when equipped with a bait and sand spike does what it’s supposed to. The reel lets you cast a good distance. Even if you’re a first time user, the reel movement is smooth, and it is very little in the way of back play. When it comes to performance and function, the Fin-Noir is right up there with the best of them. Mono Capacity: 600yds. / 20lb. / 400yds. / 25lb. / 375yds. / 30lb. Braid Capacity: 470yds. / 65lb. The Thunnus C14 is designed for the big fish, pure and simple. It’s got 6 S-SUS bearings, one roller bearing, and its line management system is very effective. Other notable features are its Baitrunner system and use of carbon materials that provide power, great for use in high impact situations. The Thunnus C14 weighs 8 ounces less than its previous release, but it hasn’t sacrificed any functionality. One of the highlights here is the Baitrunner drag system that allows you to make adjustments for optimum stoppage power. Versatility is another trademark of the C14 as you can use it with different types of gear: if you’re fishing for flounder, trout, and red rum, pair the C14 with a 7-inch rod (medium flex) and it will get the job done. As far as performance goes, the C14 gets it done, with smooth motion and enough power for aggressive fish. These reels are also capable of catching everything from 5-foot sharks to bull reds, and it’s strong enough to handle surf fish. Get a 4 oz. Leader and a 12 ft. surf rod and you can take that bait out over a hundred yards. Bottom line: you won’t be disappointed. The M7HTMAG doesn’t cost a million bucks, but it sure looks and feels like one. The first thing you will notice of the machine is that it is finely tuned. It feels solid and is well-balanced too, and the aluminum alloy provides just the right mix of strength and power. The handle is carbon, which helps reduce its weight without sacrificing control. With the Millionaire Surf Cast you get optimum leverage when casting, and the stainless steel pinion and high-quality brass drive, it’s a solid package. The frame is in one piece so no need to worry about it snapping while you’re using it. Casting in the surf requires a high-quality reel, and the Surf Cast doesn’t disappoint. To help you deal with the high RPMs, the reel provides high-grade magnetic braking as soon as the spool nears top speed. Control wise the Surf Cast doesn’t disappoint as you can adjust it to suit your preference. The Surf Cast is easy to use, and the smooth action really helps when you want to do some serious throws. There are lots of good spinning reels available, but the Surf Cast is more than a match for them as well as other types of reels. The Penn Battle II is aptly named thanks to its solid metal body, with the rotor and side plate well-implemented as well. Another key feature here is the HT-100 Versa-Drag washers, as they have been set in such a way you could use the drag washer on both sides. What this means is the reel produces superior drags, the startup is smoother, and there is the superior range. This is one of the best spinning reel available in the market. Like other Penn reels, the Battle II has been greased with unique Penn grease for a longer lifespan. As far as performance is concerned the Penn Battle II can bring home a 38 lb. Fish without a hitch. The reel is made of metal to withstand corrosion, and there are very few parts made of plastic. The use of grease is important and plays a huge role in keeping the reel usable, and it doesn’t come with any side plate screws so you can remove the side plate and have it checked if necessary. Finally, the reel comes with a screw in the handle, and it is better compared to a pin handle. Overall the Battle II has a nice, solid feel when you adjust the handle. This is a solid, all-around fish reel. Spinning reel reviews have given the Stradic CI4+ 2500 solid feedback, and it’s well-deserved. Don’t confuse the C14+ with the C14, as this is a major upgrade over the previous models. The original C14 is made from durable carbon fiber, but the C14+ is up to 250 times stronger, and compared to XT-7 graphite is 1 ½ times more durable. In spite of this the C14+ is lighter by 20% and since it doesn’t have metallic components, won’t cause any rust problems. Regarding performance, the C14+ delivers: it is lightweight, smooth and the tolerance level is precise. The frame is light, and the rotor and side plate have been designed for use in saltwater. It is hard to find a spinning reel that can match the C14+ as it feels solid, the action flows smoothly, and it won’t wear your wrists out. The C14+ looks stylish all right, but it is much more than that as it is also built for serious anglers. There are a lot of positive things you can say about the C14+, but if it has to be only one, that would be its grip, which is as good as they come. Quantum spinning reels are known for their quality, and the CSP40PTSE is one of their best products yet. As you may already know, saltwater fishing can take its toll on spinning reels, so you have to make sure it’s of the highest quality. That is exactly why you should use only the best. With the CSP40PTSE that’s what you get as its components are for heavy duty use. The CSP40PTSE has titanium magnetic trip bail, and the SaltGuard II multi-layered finish ensures protection from corrosion. Just like the other Quantum reels, the CSP40PTSE drag is smooth and since it can give you 65 lbs. of drag it’s more than sufficient for most uses. The shaft comes with triple support, and since the drive gear is stainless steel, it’s more than capable of handling almost anything you throw at it. The CSP40PTSE reel is for saltwater use, and you can use this for a long time without worrying about degradation. One of the problems with most fishing reels is they’re not built for long-term use in saltwater, but the CSP40PTSE is. What it all comes down to is this: the drag system is well implemented and is ideal for anglers that tend to be hard on their reels. It’s affordable, durable and lightweight, so it’s really hard to beat. The Spinfisher V comes with a side plate and metallic body, and it also has 5 ball bearings made of stainless steel. If you’re familiar with the Spinfisher series, this is the most advanced model as it sports the Water Tight Design from Penn, providing protection for the reel so saltwater doesn’t damage it. Additional features on the Spinfisher V include a rubber gasket which prevents slippage of the superline. The inclusion of line capacity rings is another nice touch as it lets you know how many lines you have left while angling. Compared to other fish reels, it is more than capable of delivering the goods and at a price you can afford. Even if you have not used a reel like this before, the learning curve is slight, so it won’t take long before you start catching fish with these. If you want an affordable, reliable and dependable fish reel, this is the one to get. With its heavy drag and speed, it’s great for all kinds of baits. At just 11.30 ounce. the FK spinning reel is lightweight, but it packs a lot of power and features. Its gear ratio is just right for quick retrievals, and its use of the Shimano Hagane technology really makes a difference. With this spinning reel, you can expect better results when you go fishing. Hagane refers to the company’s new concept that results in greater durability, robustness, strength, and versatility. You don’t have to take their word for it. However, because when you use the spinning reel you feel the difference. One reason for its high resistance is its use of a cold forging system, giving it a unique sense of rigidity. The reel’s interior is concealed, and together with the other components, results in a smoother but more potent design. Furthermore, the Stradic has superior weight balance so it won’t result in fatigue. Wrist fatigue is one of the most common complaints of new anglers, but this has been constructed to prevent that from happening. Whether you fish in saltwater or freshwater, the Stradic gets the job done. The Revo reel is considered a workhorse and a standard among reels, and why not since it has the features you would expect from a high-quality product. Aside from being made from quality materials, it is one of the easiest ones in its class to use. It helps that the Revo SX is durable, plus its use of several stainless steel bearings and a roller ensure trouble-free operation. The Revo SX sports an X2- Craftic alloy frame so there is superior resistance to corrosion. In addition, the fish reel has an ergonomic design and a compact handle so it’s easy to use. What makes the Revo different from the rest is the way it works: the precision level is enhanced when it’s used in water. The alloy frame has been upgraded from its previous versions, and it is responsible for providing the corrosion shield you need. The side plate is made from C6 carbon, so it is lighter than your typical reel. If you have used other reels before, you will notice that its spool design is wider, and this enhances casting. In addition to these features, the Revo uses the Carbon Matrix for smoother drag so it can withstand an aggressive fish. One of the best spinning reel available, the Patriarch provides smooth retrieval and cast, and it has 10 bearing configurations as well. Like any good spinning reel, the Patriarch comes with an anti-reverse feature so you can quickly switch from retrieval to cast. The body is constructed from lightweight magnesium, and its spool has been double anodized so it’s stronger in water. An aluminum spool is included as a spare, and there’s a neoprene bag to boot. The spinning reel also comes with a Sure-click bail that issues a sound after you have opened the bail and prepared to cast. This reel is built for heavy-duty use, and the handle is one of the most comfortable you could get your hands on. The components are solid, and the spool spring is capable of lasting for a long time. It’s also good to know the company offers good customer support in case there is a problem, so that’s reassuring. By and large, the Patriarch is a well-designed spinning reel, operating smoothly and light enough to prevent wrist strain. The package comes with a reel cover, which is convenient, and the addition of a spare spool makes it cost-efficient. 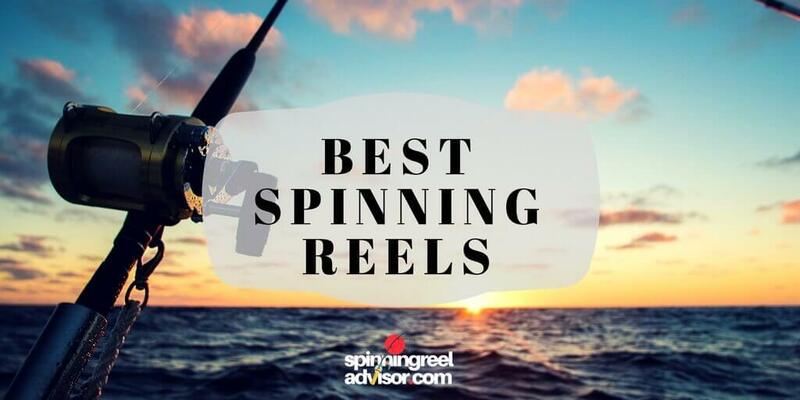 Before you can read spinning reel reviews, you need to get familiar with the different reels. 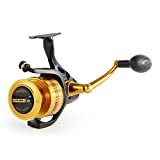 There are two major Fishing reel types, spinning and fly reels, but we will look at the more popular spinning reels for now. This closed face reel has all the essential components under the cone, and the line emanates from the cover’s opening. It is the simplest fishing reel to use and is ideal for beginners. To use you just tap the button on the rear, and as the line sets, let the button go, and the line halts. The spincast reel was built specifically to deal with the backlash problem that affects other reels, in particular, the baitcast. The spincast also does a nice job of cutting down the line twisting and snaring that can occur with other reels. As is typical with a spinning reel, you throw the line off a fixed spool, making a good choice for baits and lures. While spinning reels have a line roller and wire hail, a spin cast uses a metal cup and a pickup pin or two for winding the spool line. Baitcasting is made for advanced users due to the way the spool turns while you’re casting. Compared to a spincast, baitcasting is more precise and is especially suitable when working with heavy lines. However, you need to keep the spool manageable. To use a baitcasting reel and rod, you turn the reel on the side and engage the free spool. To keep the lure in place your thumb needs to be on the spool, and then you cast by doing a backward snap of the rod at two o’ clock. The casting motion has to be smooth so the lure can draw the line. You’re going to have to use your thumb to manage the line and make adjustments to spool revolutions. When you reach the target point, that is when you brake the lure. With regards to backlash, it may be controlled by magnetic or centrifugal systems. The spinning reel is the most widely used because it is more accurate than a spincast but is simpler to use than a baitcasting reel. Spinning reels are versatile and the line capacity is pretty good. Most spinning or fixed spool reels are set under the rod, and with the way, it’s been set up there is no pressure on your wrist to keep the reel in place, which is one of the reasons why it’s so popular. Well-made spinning reels do not cause any backlash problems, but sometimes they could get snared under the spool or get snapped off the reel. These problems usually occur with older reels due to spool overfilling or improper wounding of the line on the pickup or rotating bail. However, these problems can be overcome by various oscillating systems. Drag refers to the mechanism that enables you to configure the resistance a fish will feel when you pull the line. When you tighten the drag, the fish is going to experience greater resistance. The key here is to make the resistance level tight, so the fish gets worn out, but not to the point the line is so tight it will snap. Spinning reels come with two kinds of drag: rear or front. Front drags have a more basic design and perform consistently plus they can handle higher drag. Rear drags on another hand, are more intricate and do not offer the same level of smoothness or accuracy of front drags. However, rear drags are simpler to adjust, so it is preferred by some. Join the ferrules at an angle of 45 degrees. Push the ferrules together while aligning the guides. Put the foot of the reel along the reel seat and fasten the seat hood by fastening the hood down or up. The line should be threaded below the line roller and in all the guides. Tie the hook, plug or lure. Now you just have to set the drag. Tip: use a fishing digital scale or a fishing spring scale to set the drag. Configure your drag so it’s at 25% of the line’s break strength. The break strength refers to the pound test of your line, which should be indicated on the spool. Hold the rod with your preferred hand so the reel is under the rod. You can put the reel foot between your ring and middle finger, but if you’re more comfortable with another grip, feel free to do so. Reel the line in or pull out until the hanging line is around 6 inches from the top tip. Now slowly turn the handle, so the line roller is below your index finger. Use your index finger’s crook so the line is set against the rod. Use your other hand to open the bail and position the rod on the target. Bring the rod up vertically in one motion. It’s important you let it flex, i.e. the tip gets bent back, a process that is known as rod loading. While allowing the flex movement, there mustn’t be a pause, and you need to push the rod. Keep in mind the forward movement of the rod has to be done with your wrist and elbow. As your rod is midway to the target, use your index finger to release the line, allowing the lure to fly. Use your free hand to close the bail and prevent line loops and tangles. Check out our article about using a spinning reel. The biggest difference between saltwater and freshwater reels is that saltwater reels are more expensive and have a more durable built. The reason is saltwater is harder on reels than freshwater, so it’s necessary for these reels to be made of non-corroding materials like stainless steel. Most freshwater reels cannot be used in saltwater because unless they are made of stainless steel, will corrode and get damaged. Some freshwater reels can be used now and then in saltwater if construction is good enough and it is rinsed after use, but even then it won’t last long. Most saltwater fishing reels are built to haul in bigger fish than those in freshwater, so they have a larger capacity. It is for these reasons why saltwater reels cost more. However, you cannot really compare the two since they are designed for different types of water. Bottom line: if you are going freshwater fishing, use a freshwater fishing reel, and if you are going saltwater fishing, use a reel that is built for it. If you can find a fishing reel that is designed for both, that is another option worth considering. Now let’s take a look at the Penn and Shimano reels. Both companies are well-known among angling enthusiasts, and they have released several models. However, we can make a general comparison between the two. 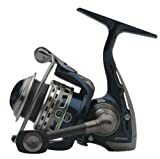 Penn fishing reels are more of the heavy duty type. They are low maintenance, easy to open and a bit on the heavy side compared to other reels. Shimano reels are known for their sophistication, have more components than other reels but also require more maintenance. Shimano reels are usually light and smooth plus they are known for being innovative. Both fishing reels are designed for comfort and won’t wear you down. 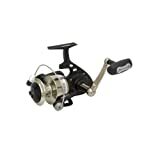 Penn fishing reels are known for their solidity and ideal for use on charter boats. For natural bait, the Penn models are ideal, while lure casting and braid work well for Shimano. The truth is both brands make efficient reels, and if you ask ten anglers, opinion will probably be split right down the middle. What you should do is to research the reel you want to use and compare their features. Generally speaking, though, you cannot go wrong with the Shimano or the Penn. Now let us take a look at Shimano and Daiwa. Just like in the Penn vs. Shimano debate, everyone has an opinion regarding which of the two brands is better. Here are thoughts on the matter. The Shimano reels tend to be more feature packed and is more popular among many new anglers. The Daiwa reels do an excellent job in preventing twists in the line, better than some Shimano models. Daiwa reels have a bigger spool diameter, allowing you to use bigger drag discs, resulting in a smooth drag. The Shimano is more efficient when it comes to casting. The Daiwa spool tapers a bit around the back, enabling the line to flow nicely out of your spool. The Shimano reels are well known for their longevity and are thus considered good investments. Because Shimano and Daiwa make a lot of fishing reels, you can have your choice when it comes to features. The truth is whether you go with Shimano, Daiwa or Penn, you are bound to have a good time as long as you use them properly. By comparing these fishing reels, you will have an easier time deciding what to buy. Here are the major factors you need to consider. The general rule is the more bearings a fishing reel comes with; the easier retrieval will be. Also, high-quality bearings reduce vibration and noise. 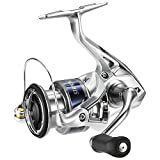 The emphasis here is on quality, however, more than quality: a spinning reel with four high-grade bearings is a better choice than a spinning reel with ten poorly made bearings. If you’re fishing in saltwater, high-grade bearings are a must to prevent corrosion. Bearings use different types of alloy, with chromium + stainless steel particularly effective when it comes to dealing with corrosion. High-quality bearings cost more than your regular bearings, but it’s a good investment because they are built to last. Also, they have a special lubricant that results in smoother retrieval. If you’re going to go angling, don’t settle for anything less than quality bearings. The ideal spinning reel is one that is light enough to cast and at the same time be durable enough to handle the torque generated by large fish. Look for fishing reels with all-metal parts, and you will also like high-grade reels that utilize durable but lightweight metals. While all-metal built is the best option, combination graphite/copolymer with a faceplate made of metal is a good option. If you’re just angling for bass, panfish and other small species, a fishing reel with graphite and plastic elements will do fine. For catfish and other large species, an all-metal reel is ideal. Look also for spinning reels with tight tolerances as it will result in superior bearing seats, smooth crank and it won’t wobble much. A low-quality reel won’t snap instantly when used on aggressive fish, but over the long term, it’s not going to last. Problems like misalignment, overheating and wear tear will take their toll and make it impossible for you to fish. This determines how much power you can crank up and how well you will be able to crank things up and how the line is retrieved. There are no standards when it comes to gear ratios as it hinges on the fish species and how you fish. A gear ratio of 5.5:1 to 6.3:1 leads to quick retrievals while 4.1:1 provides you with extra cranking juice. The first number in a fishing reel ratio signifies how often the spool is going to turn for each crank of the handle. So, a 6.3:1 ratio means the reel’s spool is going to turn 6.3 times per turn of the handle. If gear ratio is lower it means the unit has a smaller man gear. Most of these fishing reels are capable of handling line weights down to a 2 lb. Test, ideal if you want to cast lightweight lures. There are of course bigger spinning reels for large saltwater and freshwater fish. Whether you need a light or heavy light, you can check the reel spool line capacity as that will tell you what they’re capable of handling. Do not go beyond a reel’s suggested line capacity and size. A small diameter line reel should not be used on a big spool because it might lead to entanglements. On the same token, using a large line on a reel meant for light lines could lead to capacity issues. The important thing is the line must match with your reel’s capacity and the capabilities of your rod. With a lighter weight line, you can expect longer casting distance and superior performance with lures. If you’re angling in areas with lots of abrasive rocks, a heavier, more durable line will be required. If you are using a spinning tackle, the line weight limit is under the 4 lb. Test, while anything under 10 lbs. Can be considered light for fishing in saltwater. The fishing reel must have high-grade machining and designed for use in the water (i.e. saltwater or freshwater). The bails must be of high quality and are capable of handling the fish species you’re going after. All brands and manufacturers will say they have the best spinning reel, but there is no need for you to swallow the product line. By knowing what features to look for, you will know exactly what features to look for. All spinning reels are made to fulfill your different types of fishing needs, regardless it is your hobby or duty. A right fishing reel can make your job entertaining, on the other hand, a wrong one can spoil your time. All you have to do is to select the right one based on your requirements. Hope our article on the best spinning reel reviews will serve you well in every sense. Here we have tried to discuss different types of spinning reels to help you in making the right decision. The materials which they are made of and some basic specifications are to be considered. In this article, we have also tried to make those points clear to you. However, our choice goes with the Penn Battle II based on practical experiences. Not much to add about this but this one never fails. Best of luck for all beginners and experienced fishermen to choose the right fishing reel. Enjoy your best time on the water. Pick the right one depending on which type of fish you have targeted and where you have planned to catch. Read our guide about how to fish. Cheers!